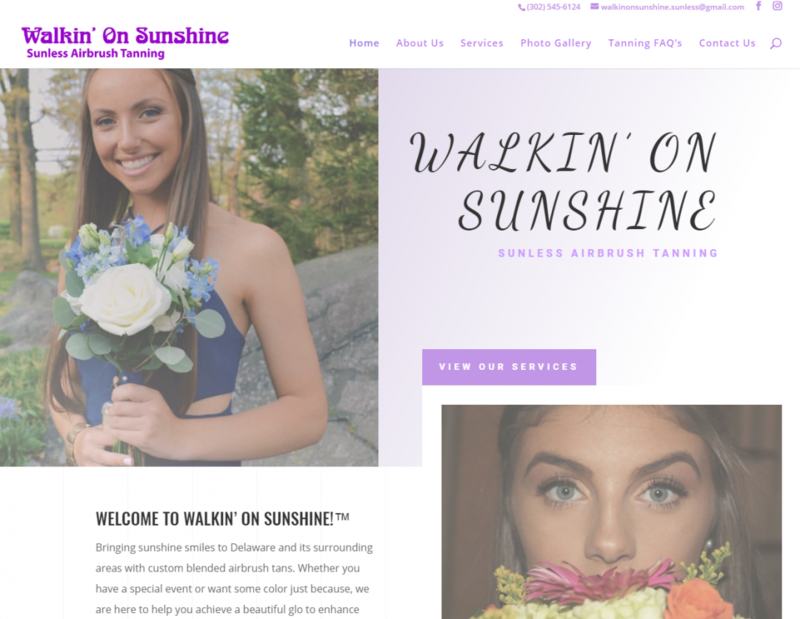 We just completed a complete website redesign for one of our long time clients Walkin On Sunshine Sunless Tanning Salon located in both Wilmington and Middletown, Delaware. We started working with Dee and her crew a few years ago just doing updates to her existing site. Recently she contacted us to ask for a large amount of updates and after some discussion decided it would be best to redesign the site to make it more modern and up-to-date. The new site is based on WordPress and uses a fully responsive design that works perfectly in browsers, tablets, and mobile. If you are looking for any services we offer please contact us today!